The 2002 film starring Dwayne Johnson will reportedly be available in 4K this summer. 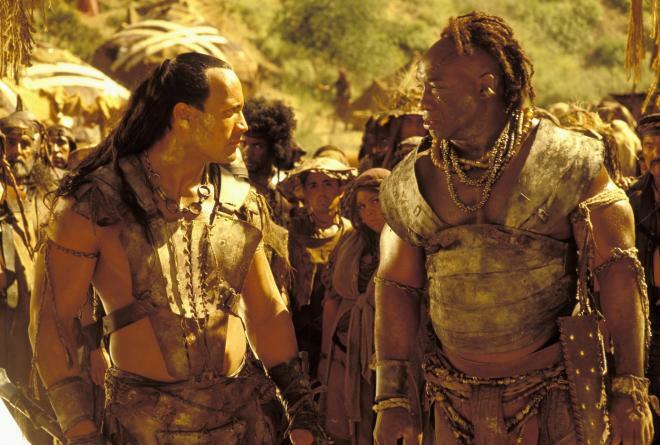 Universal is preparing The Scorpion King for 4K Ultra HD Blu-ray on June 18. In the notorious city of Gomorrah, an evil ruler is determined to lay waste to all the nomadic peoples of the desert. The few remaining tribes, never natural allies, have to unite or perish. Knowing their enemy relies on the visions of a sorcerer, they hire a skilled assassin, Mathayus to eliminate the visionary. After infiltrating the enemy camp, Mathayus discovers that the sorcerer is in fact a beautiful woman. Rather than eliminate her, he takes her deep into the desert badlands, knowing that the ruler's henchman will stop at nothing to rescue her and bring her back. Seriously wounded in the ensuing battle, Mathayus must find the strength to lead his scrappy band of allies back to Gomorrah for a final confrontation. You can find the latest specs for The Scorpion King - 4K Ultra HD Blu-ray linked from our 4K Blu-ray Release Schedule, where it is indexed under June 18.